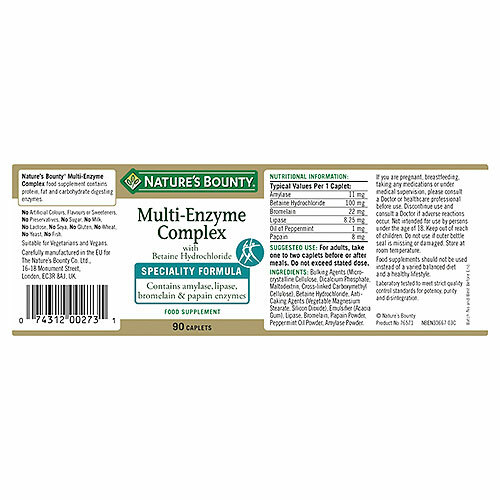 Nature`s Bounty Multi-Digestive Enzymes food supplement contains protein, fat and carbohydrate digesting enzymes to support digestion. 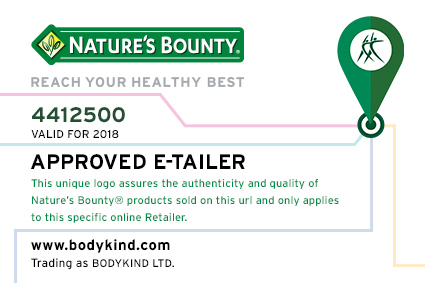 Bulking Agents (Microcrystalline Cellulose, Dicalcium Phosphate, Maltodextrin, Cross-linked Carboxymethyl Cellulose), Betaine Hydrochloride, Anti-Caking Agents (Vegetable Magnesium Stearate, Silicon Dioxide), Emulsifier (Acacia Gum), Lipase, Bromelain, Papain Powder, Peppermint Oil Powder, Amylase Powder. 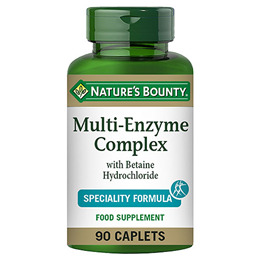 For adults, take one to two caplets before or after meals. Do not exceed stated dose. 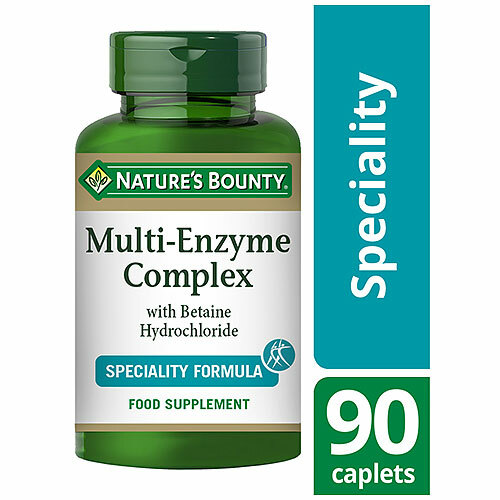 Below are reviews of Nature`s Bounty Multi-Digestive Enzyme - 90 Caplets by bodykind customers. If you have tried this product we'd love to hear what you think so please leave a review.